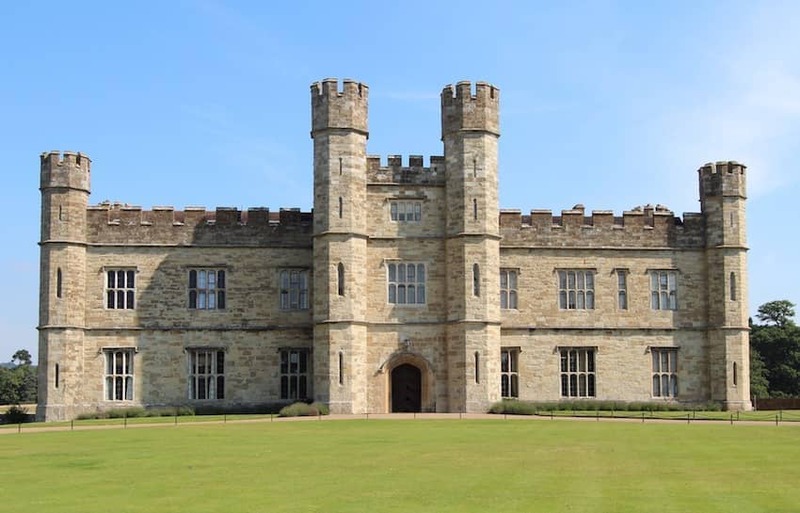 Leeds Castle is in the English county of Kent. Built on islands in a lake, its idyllic setting has inspired the description as ‘the loveliest castle in the world’. A castle was first established there in 1119 and it was rebuilt and developed over the following centuries to accommodate the royal households who occupied it. Henry the VIII used it as his first wife, Catherine of Aragon’s dwelling. The castle was remodelled in the Tudor style in 1823, resulting in its appearance today. Since it passed from private ownership to a charitable trust in 1974 it has become a major tourist attraction with half a million visitors annually. The Gardens, Maze and Adventure playgrounds all add to the appeal.